On content heavy websites, the most frequently used design element is the search box. 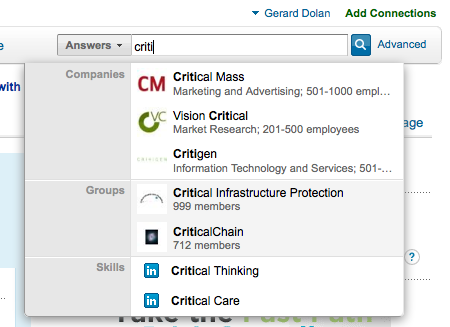 Widely considered to be best in class, LinkedIn’s Search Box has always managed to push the limits of their Quick Search functionality just enough to not blur the line between their Advanced Search option. 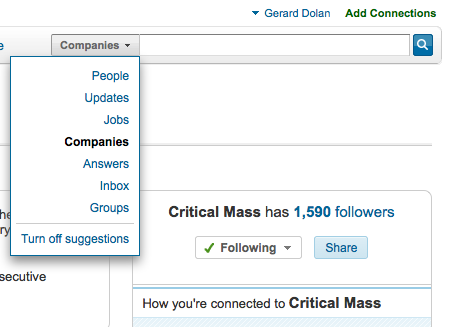 LinkedIn’s Learning Center needs to be updated, but here’s a link to the Search functionality section.